If you are self-employed, the words “quarterly taxes” and “estimated payments” likely send a shiver down your spine. No need to worry! Stride has created the ultimate guide to quarterly taxes to make estimated payments and filing a breeze. Read more. Check out Stride's Tax Deduction Guide, which helps you discover more write offs based on what you do for work. Whether it’s mileage you can deduct, or getting your real estate license renewed, we’re here to make sure you don’t miss it. Read more. Learn more about the 3 ways to deduct health and medical expenses. Read more. Don't miss out! Here are some of the biggest expenses that folks commonly miss. Read more. 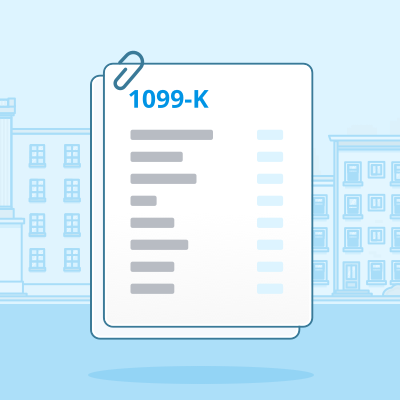 Know how to avoid an audit with the IRS when you have 1099 income. Read more. This form reports gross transactions made on your behalf. Learn more. This form reports all non-employee earnings above $600 from a company. Learn more. The form you use to add expenses (deductions) to determine your business profit or loss. Learn more. This form helps you determine how much self-employment tax you'll pay. Learn more.